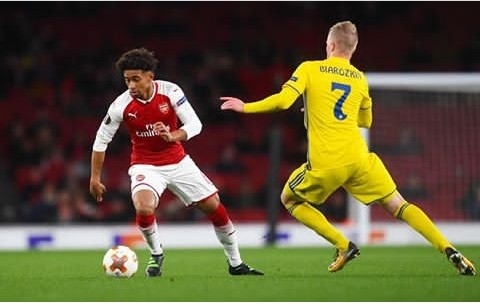 The gunners defeated Bate Borisov last night after a remarkable performance showed by the players as they finished their group stage matches in style by thrashing their opponents 6-0. The gunners welcomed their Europa League opponents to the Emirates Stadium in a match which was less important to them even if they lost but the squad surprisingly played with great determination to win hence scoring 6 goals on the Thursday night. The players were also very happy to have put up a fantastic display yesterday and took to social networks give out their reactions on the match and even youngster Reiss Nelson took to Instagram to give out his say on the match. CHECK OUT REACTION OF REISS NELSON. The English international will be hoping to get more chances in the upcoming matches as he slowly develops to be a great player. The gunners will now have to wait for the draw in order to know who they will be facing incthe Europa League round of 32. 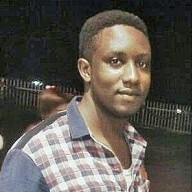 The supporters are now worried because they believe that Arsenal no longer have any chance of winning this competition this season because there are clubs like Atletico Madrid and Napoli who both have been sent in the competition after failing to progress to the UEFA Champions League round of 16.